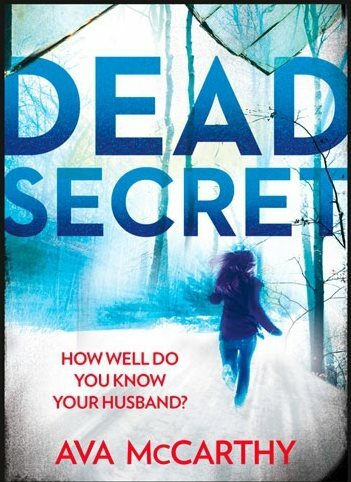 Our March 2016 Book of the Month: Dead Secret. The author: Ava McCarthy, taking a break from her Harry Martinez series with this standalone thriller. The genre: psychological / domestic noir / chase. The times: Three years ago and now. The places: New Hampshire; Massachusetts; Belize; Oregon. The central character: Jodie Garrett, an artist and housewife originally from Ireland. She met her future husband in the States, but after a romantic courtship he turns out to be a manipulative monster. The plot: the story begins with Jodie already about to kill her husband for callously murdering their daughter. Then it turns into a Fugitive-like hunt. But with so many secrets, sudden twists and major revelations it is virtually impossible to say much more without major spoilers. Why we liked? Ethan's incarnation of pure evil, Jodie's hopelessness combined with her avenging fury, the relentless pace from the first page on, the tight storyline and the extra twists right at the very end. It is not all action/adventure. A clever recurring motif is how art (painting) can express feelings beyond words, even in the darkest of times. Most of the prisoners and prison guards in the story are stereotypes, but more time is given to fleshing out Matt Novak's character. He is a down-at-heel freelance journalist, not so much a knight riding to Jodie's rescue, more a hungry hack looking for his next big story. Anything we didn't like? Jodie is no action hero, yet somehow she is able to overcome a series of major injuries in quick succession (stab wounds, drugs overdose, car crash, a concussion or two, a pierced liver).